Looking forward to the long weekend celebrating Australia? 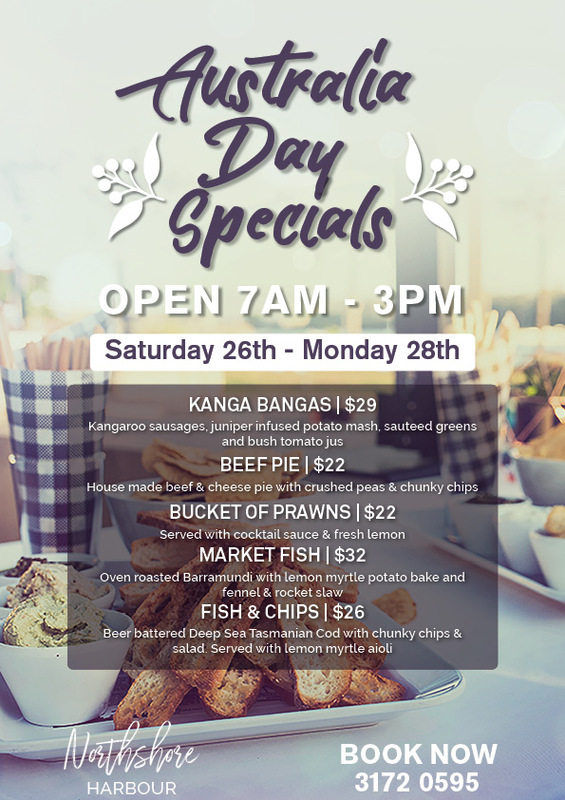 We will be celebrating all long weekend with Aussie Specials alongside our new menu! With the kids back at school after Australia Day bring them along and enjoy some quality time together or watch them burn some energy on our playground! Of course dogs are always welcome at our outdoor section of Northshore Harbour as well! With no Public Holiday surcharges make sure that you reserve your table! They book out fast!